ISEA2011 Istanbul calls for proposals for their conference next year. See below for more information, to apply visit the original call here. Deadline is December 1, 2010. We invite proposals for panels, artworks, papers and workshops form artists, scientist and academics interested in how the digital and electronic media are re-shaping contemporary society and behaviors. 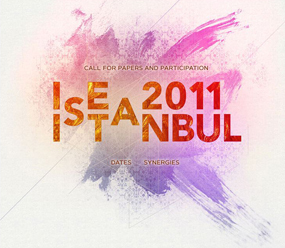 ISEA2011 Istanbul will be open to proposals encompassing a large range of topics under the general theme of interdisciplinarity at the intersection of Art, Science and Technology. It is our intention to appeal to the hard sciences and the humanities as well as the art community.